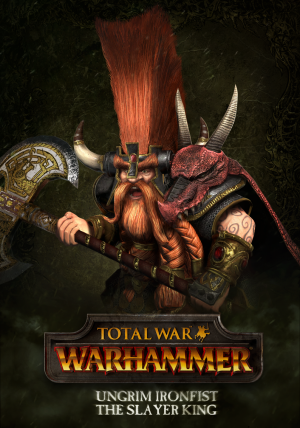 The Dwarfs are an ancient race, once masters of a mighty empire, vast swathes of which are now lost to them. Yet they are driven by the need for vengeance, and remain defiant and unbowed. Dwarfs are shorter and stouter than Men, and are known for their broad shoulders, magnificent beards and dauntless hardiness. The most defining characteristic of Dwarfs, however, is a gruff and stubborn nature. Their innate obstinacy is the stuff of legends and countless tales speak of both the great fortunes and the tragedies of this immovable resolve. This tenacity is reflected in the makeup and strength of their armies, which are expert proponents of the defensive style of fighting, with heavily-armoured and unshakeable infantry sheltering deadly ranged units and a fearsome array of finely-engineered artillery. They do however lack any cavalry and so, with one or two exceptions, are resolutely slow-moving. Rising high above the world in an endless series of jagged peaks, stand the Worlds Edge Mountains. Beneath these snow-covered pinnacles, the Dwarfs have dug into the bedrock of the world, carving out mines and halls into a kingdom, which they call the Karaz Ankor, meaning either ‘the Everlasting Realm’. Although many of the Dwarfen strongholds now lie in ruin and have become the lairs of evil creatures, the glories of their past are not forgotten by the Dwarf race. Within the stony heart of every Dwarf there resides a deep-set and burning desire to avenge the grudges of old and reclaim what was once their own. 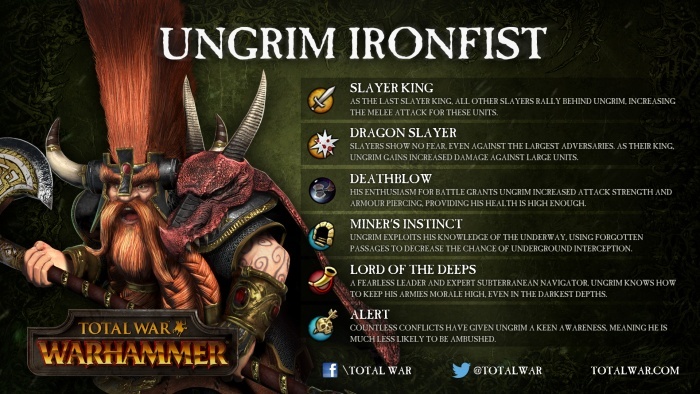 Ungrim Ironfist is both a King and a Slayer, more than likely the last Slayer King of Karak Kadrin. As a Slayer he has sworn an oath to seek out death in battle against the deadliest foe he can find, but as a King, his oath is to defend and protect his people. 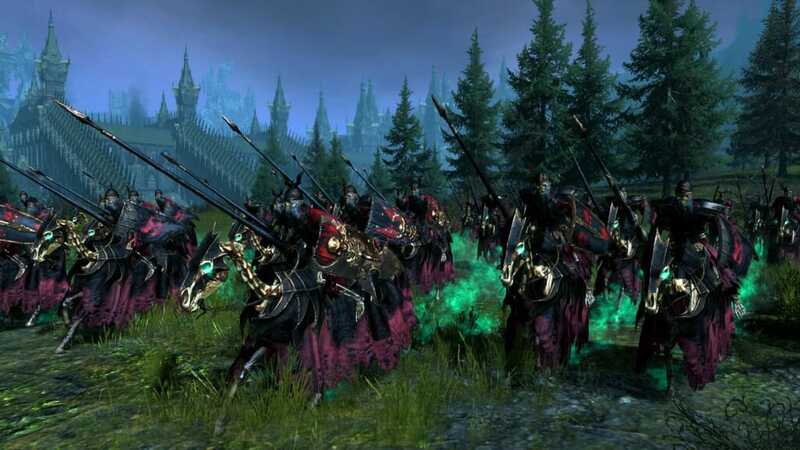 So although Ungrim cannot seek death in true Slayer fashion, he grows ever more restless, leading the throng of Karak Kadrin into countless battles. It was Ungrim who slew the Dragon of Black Peak and who broke Queek Headtaker’s siege of King Belegar’s citadel in Karak Eight Peaks. The Slayer King has beaten Ogre mercenary Golfgang Maneater and held off a Chaos army in the Battle of High Pass. 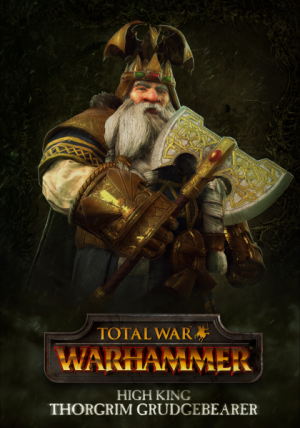 Most Dwarfs are amazed Ungrim has lived so long, and none think that a mighty death in battle can be very far away. Ironbreakers are trained to fight in tight formation, wedged into the confines of narrow tunnels. There, they find defensible positions and let the enemy break upon their overlapping shields as waves crash into rocks. Impervious, implacable and unmoving, they form a living line that holds back the flood of terror that lurks in the dark below. For each battle fought under the light of sun or moon, the Ironbreakers will have fought dozens in the deep dark beneath the mountains. It was the Engineers Guild that invented the Drakegun, a weapon which fires a blast of alchemical fury- a flaming bolt of blazing energy. 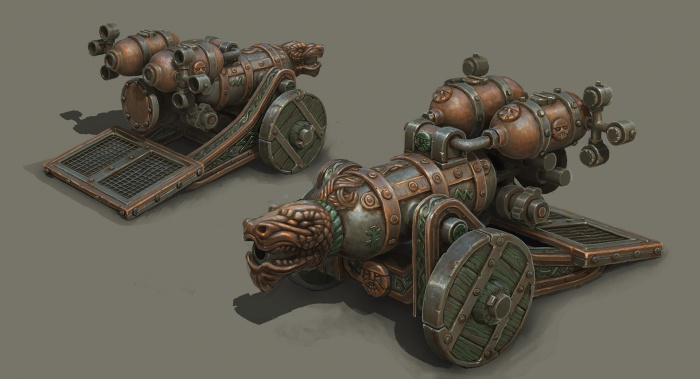 Ironbreakers who show an aptitude with the Drakegun are further trained and formed into new units. When confronted with a foe capable of breaking through, the Ironbreakers will open their ranks to allow the Irondrakes to file past and unleash their molten blasts. Unless slain in battle or laid low by mishap, Dwarfs live to a great age. The relative length and fullness of a Dwarf’s beard indicates how old, and therefore wise, he is. 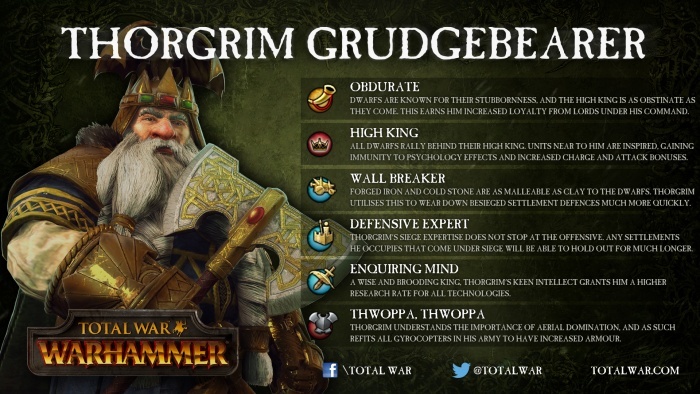 Longbeards have fought in more wars, beaten more enemies, and endured greater hardships than any beardling can possibly imagine. 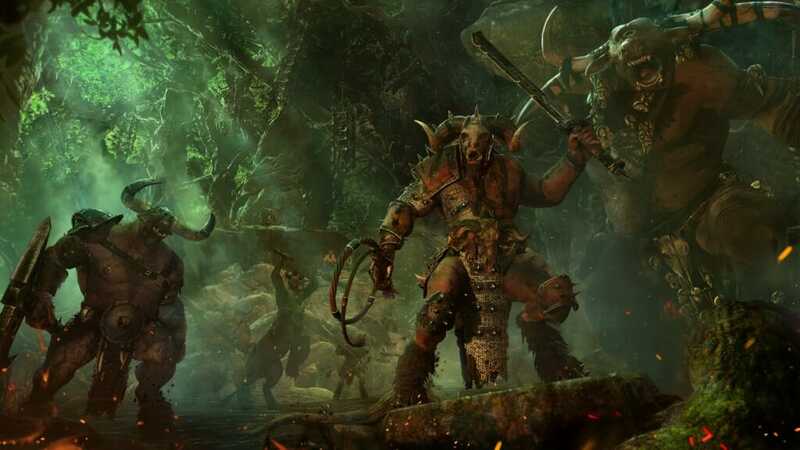 As the Greenskins are the sworn enemy of the Dwarfs, the Longbeards can often be heard grumbling about how today’s Goblins are far smaller and weedier then they used to be and how nothing is as well made as it was in their day. A Longbeard unit is likened to a reliable bulwark that stands fast and supports the other formations. Slayers are the strangest and most deadly of all Dwarfs. In times of battle they arrive from the wilderness to join a throng, lending their considerable combat skills to the Dwarf cause. Their oath is to seek out and destroy, with unwavering determination, the largest foe they can find. As Slayers spurn armour or shields, those who live on become heavily scarred and fearless monster killers; bitter fighters that band together to seek their doom, yet are incapable of deliberately fighting to lose. Gyrocopters are flying machines whose rotor blades are propelled by an ingenious lightweight steam engine. They can both take off and land vertically as well as hover in position. The main armament of a gyrocopter is a steam gun. When the valve is released, a blast of super-heated steam from the engine blasts out of the barrel with a hissing scream. Over the years, the Gyrocopter’s firepower has been augmented with explosives. Originally the pilot was responsible for lighting the fuse and throwing a bomb overboard while trying to fly and dodge enemy arrows. More recently, the Gyrocopter’s small payload has been fitted into the craft’s stabilisers. There are few weapons that can put fear into the heart of a foe quite like the Flame Cannon. A volatile concoction of hot oil and molten tar is mixed within the Flame Cannon before air is pumped into the barrel; soon the pressure inside is tremendous and the barrel is almost ready to burst. Enemies struck by Flame Cannons have their flesh melted off them in a slough, leaving only scorched bones and a foul smelling liquid. o Faction-wide trait: ‘Age of Retribution’ – Progressive, for a Dwarf, Grudgebearer’s fame in striking out entries in the Book of Grudges is the toast of drinking halls the length of the Worlds Edge Mountains. 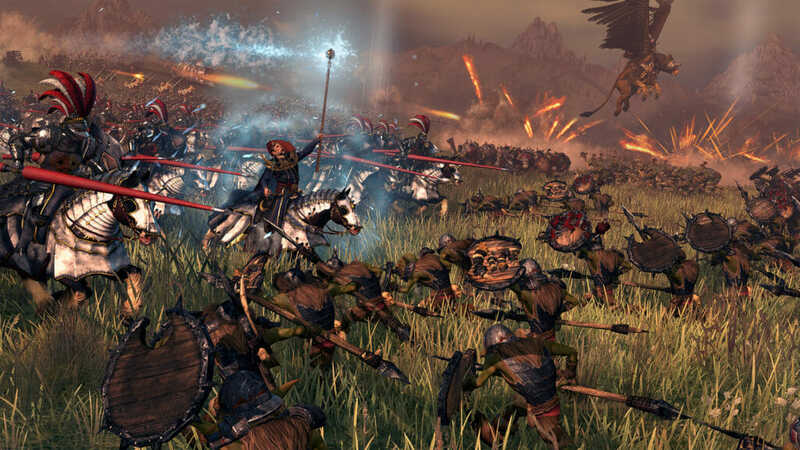 As a result his armies are easier to fill with eager Dwarfen Warriors of all types. 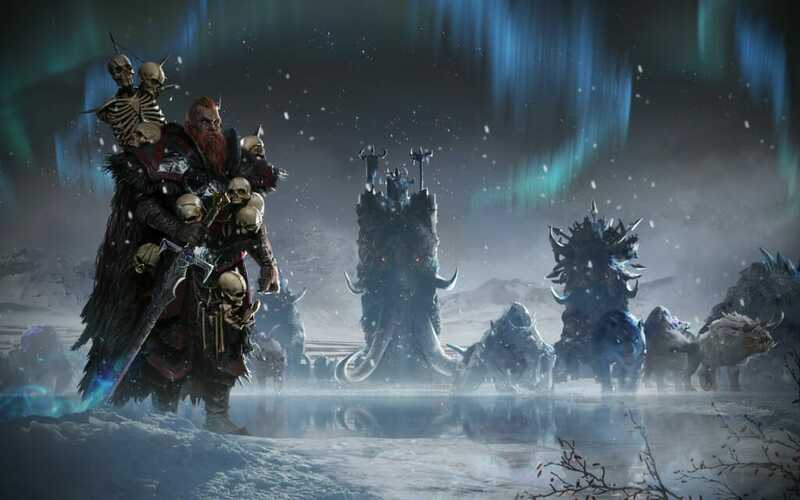 o Faction-wide trait: ‘Oathbound’ – Ungrim’s tireless search for the ultimate foe inspires other Slayers to join him in his quest for glorious death, making vast units of them easier to recruit and maintain.